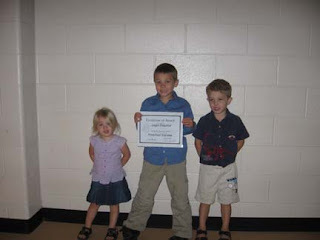 Today was Logan's Pre-K graduation at school. It was so fun to go to the assembly and see the little program that they had. They sang songs and then of course walked the stage. Logan will be in the class of 2020, which just seems so very far away. It was hard to really pay close attention with Gabe and Lexie, plus there were so many people there I was thinking does anyone work around here!! 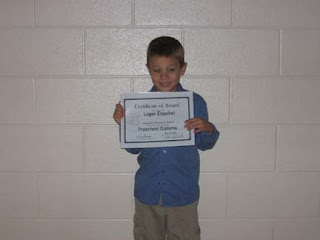 Logan has loved school and he can't wait to be a big Kindergarten student next year. If you notice Logan is the little head poking out on the front row. He kept waving and smiling at me the whole time. 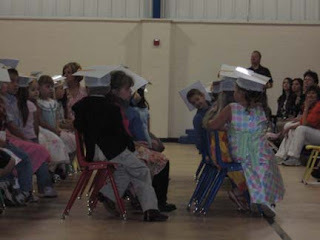 It was really cute when they threw there little grad hats in the air when it was all down. 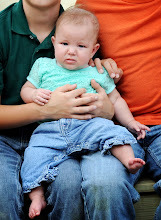 Logan was so happy to see that both his brother and sister had come to watch him. I really am proud of him and how well he treats others. He always wants to help and is quick to try and dry his little sisters tears. 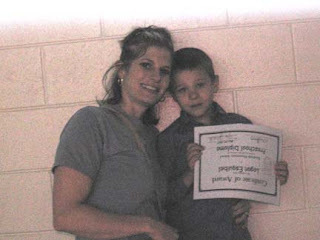 I was so blessed to get such a wonderful son. Congrats to logan! I am so proud of him! What an accomplishment! Kindergarten watchout 'cause here comes logan!